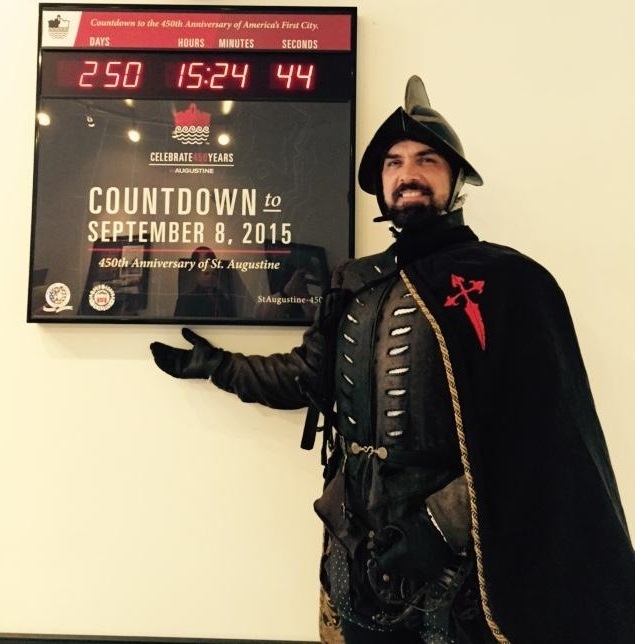 No sooner do we put up our new countdown clock than St. Augustine’s founder, Pedro Menendez, pops by to check on the date. Seems he’s needs a reminder to the big day. We guess when you are 496 years old, your memory starts to fade a bit. Posted in St. Augustine | Comments Off on Look who stopped by! 2015 will mark the 450 anniversary of the founding of the city of St. Augustine by Pedro Menendez de Avilies. As part of the city’s celebrations, a countdown clock will be installed at the visitors center so residents and visitors alike can keep track of the big day! Old Town Trolley tours of St. Augustine sponsored the clock and our GM Dave Chatterton can wait to see it installed. 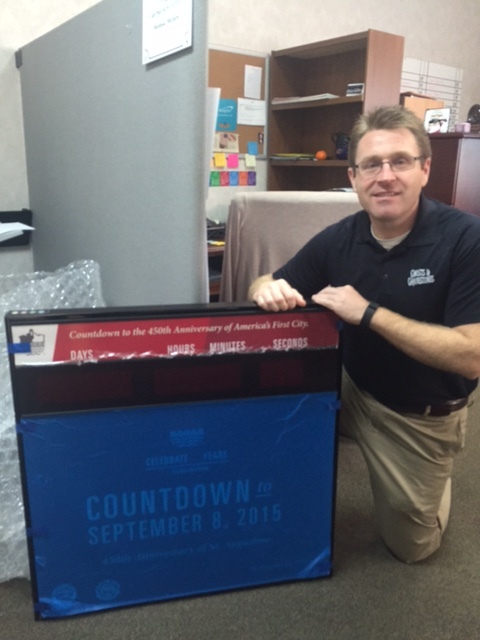 General Manager David Chatterton with the countdown clock. Posted in , St. Augustine | Comments Off on The Countdown Begins! You are currently browsing the Old Town Trolley Tours Blog blog archives for January, 2015.